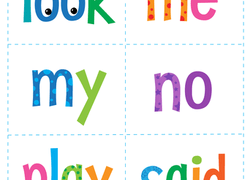 Kindergarten reading flash cards and worksheets are a great way to help your emerging reader develop into a voracious bookworm. 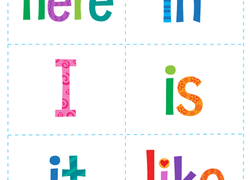 Flash cards are perfect for helping kids memorize the form of upper and lowercase letters. 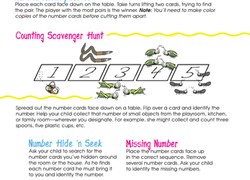 Many of our flash cards feature fun themes like dinosaurs and animals so as to successfully capture and keep your kid's attention. 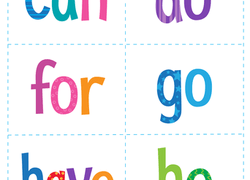 We also have a whole bunch of super simple sight words that your preschooler will pick up quickly. 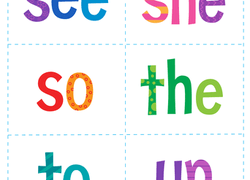 Check out our collection of reading flash cards and find a few for your little learner. 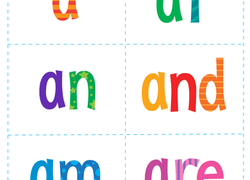 This worksheet covers a broad set of skills for your preschooler to practise, including addition, time telling, reading, and science. 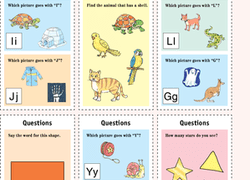 This worksheet covers a broad range of kindergarten skills, including addition, time telling, reading, and science. 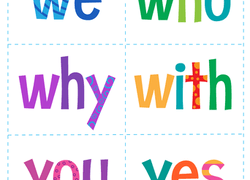 Use these cards to explore emotion adjectives, either on their own or with our Mindfulness lesson plan series.